Many people in this country live check to check. If an emergency were to happen, there is a high chance that they won’t be able to afford. This is where having an emergency fund comes into play. Its sole purpose to be a safety net for you. That money should be used for emergencies only. Many financial experts state that a beginner’s emergency fund should start with at least $1000 in it. Sometimes people will look at that number and wonder how they are supposed to save that amount when they are living check to check. It’s not easy, but it can be attained. People are busy with their day to day activities, but saving $1000 for an emergency fund must become a priority. 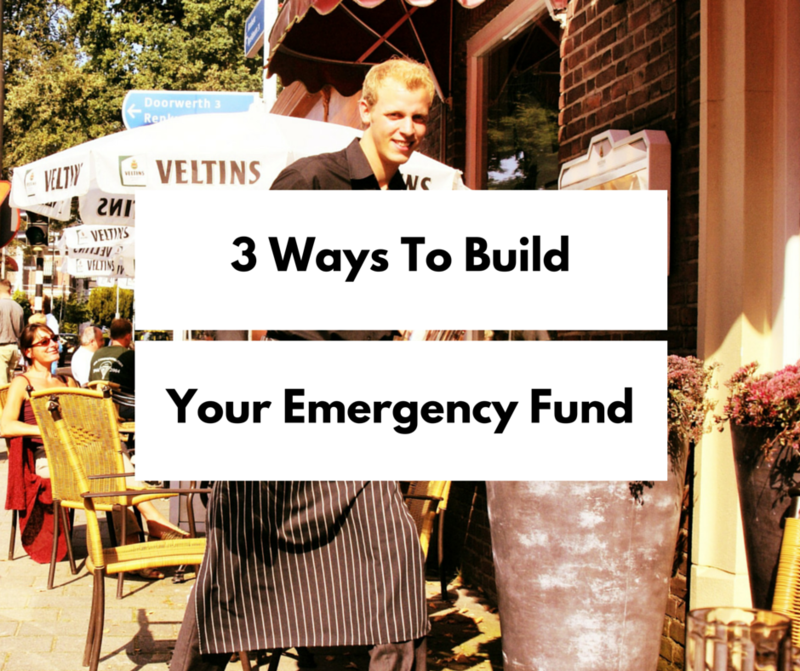 Below are three things you can do to help you save for your emergency fund. The first way that you can save money for an emergency fund is by getting a part time job. Some people may not make enough at their full-time job, so this is why they need to find a part-time job even if it’s temporary. Your primary focus should be saving $1000 as quick as possible. People may think that they don’t have the time to work a part-time job. They are wrong. Many people work a part-time job for a few hours every weeknight. You can also work Saturday’s and Sunday’s as well. Remember, you don’t have to work the part-time job forever. You just want to work it until you have enough money in your emergency fund. The second way that you can save money for an emergency fund is to have a particular amount of money automatically deducted from your paycheck each pay period. Any little amount helps. Even saving $10 per month is better than not saving anything at all. The point is to start saving! You may have to change your budget around depending on how much money you make, but it will be worth it. Once you start saving, you can gradually increase the amount from $10. The last way to save money for an emergency fund faster is to learn a side hustle. Side hustles can be done before or after you go to work. There is no shortage of side hustles. A few things that you can do is become a freelancer, sell things on eBay, create a shop on Etsy, or mystery shop. I’ve been side hustling for years. I’ve used that money for my emergency fund and to pay off my debt. An emergency fund will give a piece of mind. Last year I had a minor accident, and my car windshield cracked. If I didn’t have an emergency fund, I would have had to use my credit card which is something that I’m glad I didn’t have to do. I was able to withdraw the money that I needed to get the windshield fix without any hesitation. I didn’t stress over the situation at all. Having an emergency fund allowed that to happen. What are you waiting for? It’s time for you to start saving for yours today.